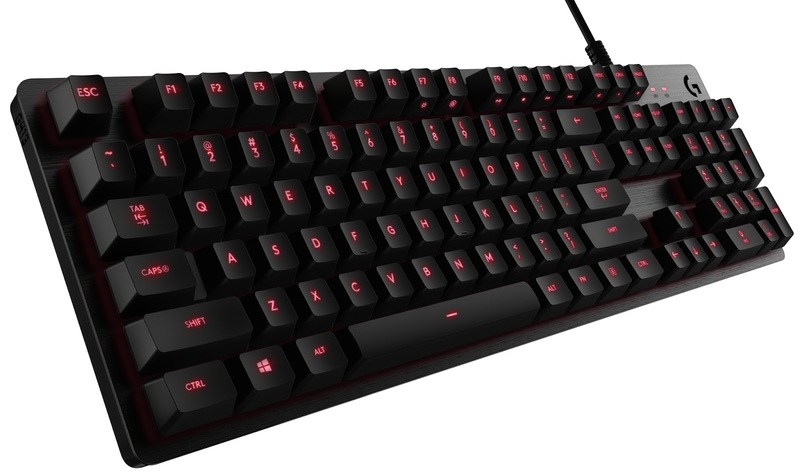 Logitech G, a brand of Logitech, announced the launch of an addition to its mechanical gaming keyboard lineup with the Logitech® G413 Mechanical Gaming Keyboard. Engineered for precision and performance, the keyboard delivers unrivalled performance in a thoughtfully balanced, modern design. The Logitech G413 features Logitech’s exclusive Romer-G™ mechanical switches, offering 25 percent faster actuation than standard mechanical keys, as well as a brushed anodized aircraft-grade aluminium top case, USB passthrough port and precision key backlighting. The Logitech G413 Mechanical Backlit Gaming Keyboard will be available in South Africa later in the year. Price and colour to be confirmed. Logitech G, a brand of Logitech International, is the global leader in PC and Console gaming gear. Logitech G is dedicated to providing gamers of all levels with industry leading keyboards, mice, headsets, mousepads and simulation products such as wheels and flight sticks - made possible through innovative design, advanced technologies and a deep passion for gaming. Founded in 1981 and headquartered in Lausanne, Switzerland, Logitech International is a Swiss public company listed on the SIX Swiss Exchange (LOGN) and on the Nasdaq Global Select Market (LOGI). Find Logitech G at www.LogitechG.com, the company blog or @LogitechG.